A word of warning. Ormacleit Castle is strictly "look but don't touch". There are two reasons for this. First, it is private property. 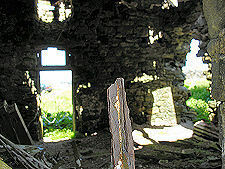 Second, a glimpse through a window suggests that the remaining internal structure would take very little prompting to fall on the head of anyone straying inside. Now we've got that out of the way, Ormacleit Castle actually has quite an interesting story. It was one of the last castles to be built in Scotland, and it certainly has a strong claim to be one of the shortest lived. 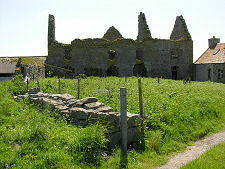 It is also the only significant castle still standing in South Uist. 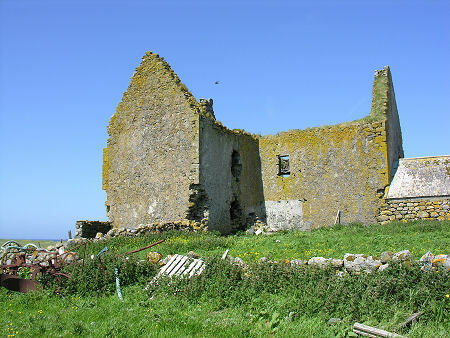 Ormacleit Castle (also sometimes called Ormaclete or Ormiclate) was built as the main residence of Allan (or Ailean) MacDonald, Chief of the Clan Ranald after his marriage in France to Penelope Mackenzie. 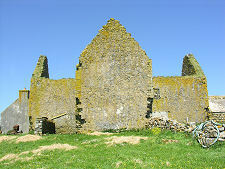 Work began in 1701 and the castle was completed in 1708. What emerged was a T-plan structure on two floors and an attic which faced north onto a courtyard. From the courtyard the castle had the appearance of a five bay mansion. 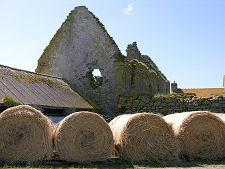 A range of ancillary buildings stood on the west side of the courtyard. 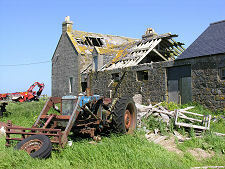 Having taken seven years to build, the castle remained in use for just seven more years. It burned out in November 1715. The circumstances in which it caught fire depend on the source you read. Most stories date the fire to the evening of the Battle of Sheriffmuir. That took place on 13 November 1715 and, though inconclusive, effectively marked the end of the 1715 Jacobite uprising. Allan MacDonald was killed at the battle. The fire apparently started in the kitchen where a side of venison was being cooked. 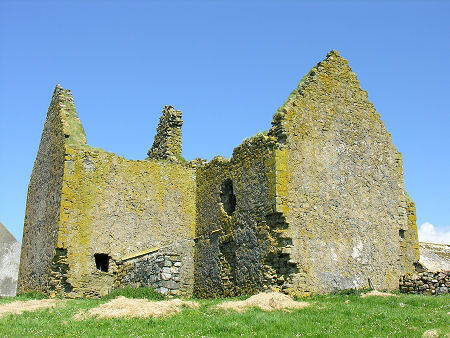 Ormacleit Castle was never repaired or restored. 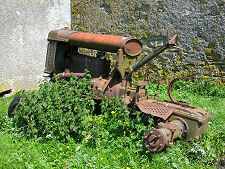 Today, parts of the surrounding farm seem nearly as derelict as the castle itself, but please remember that it is a working farm. Given Ormacleit Castle's interesting "crossover" style between castle and mansion, and given its interesting story, it would make a superb visitor attraction if consolidated and made safe: and a considerable addition to the range of attractions on offer in South Uist.